Hey guys:) Well 9/11 came and went this year in such a different way than it ever has since 2001. Of course, there was the time spent pondering back to exactly where we were and what we were doing when we first heard/saw the news of the various attacks. There was also the usual flood of memorial posts on social media with beautiful artwork and quotes, etc, and as always there were many people expressing regret at how united our country used to be back right after we were targeted, and how we've lost most of that unity and brotherly love. 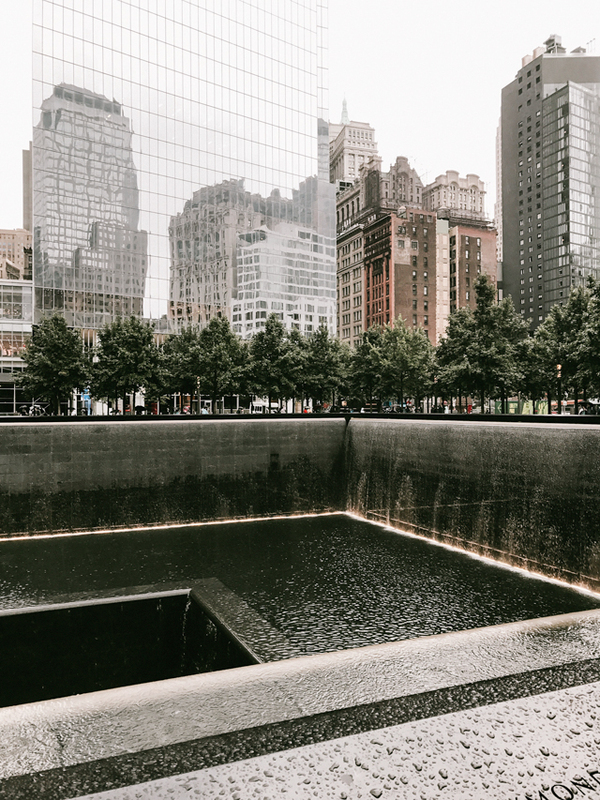 The first and biggest reason it was so different this year is because of our favorite and most impacting experience from our little NYC visit last month: The 9/11 Memorial Plaza. Visiting there was one of our biggest goals for our trip, but it wasn't until a few days in that we were able to go. It just so happened to be raining lightly, and as we sat in the back of the uber headed to ground zero, the dark sky and raindrops down the windows felt really fitting for what we were about to see. Getting out of the car and taking Richards hand we quietly walked a block or so before reaching the two waterfall pools. 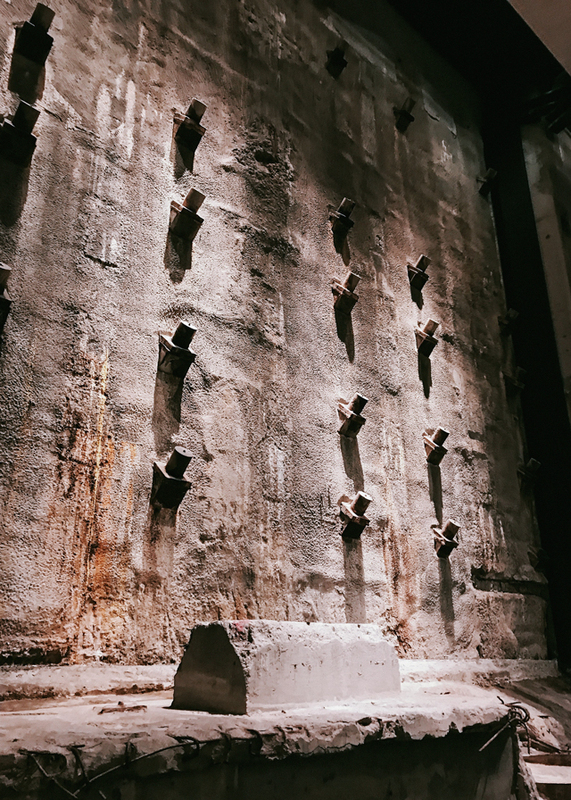 It was really so amazing to stand there and take in all the details, the vast number of names, the white roses(a birthday tradition we learned), the symbolism of the massive empty holes in the ground, etc. 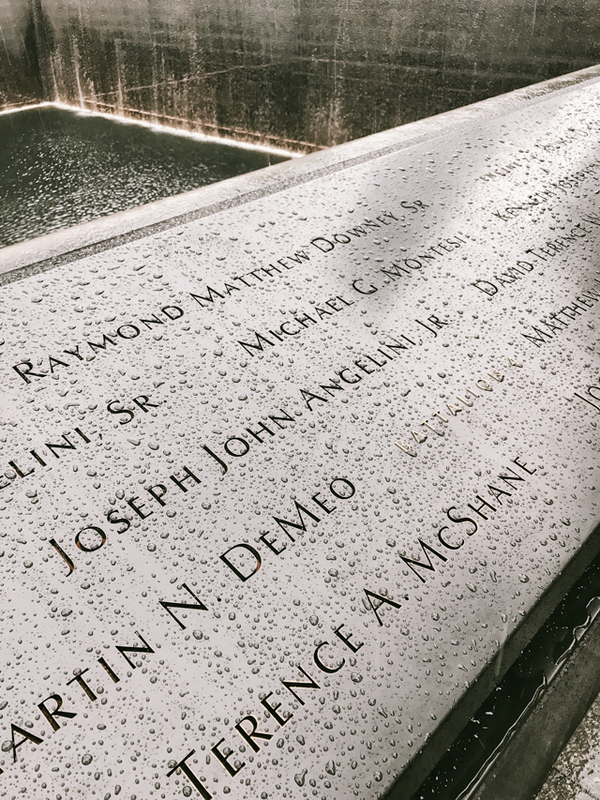 It would have been extremely humbling at any time of course, but thinking back to the day the towers were hit and about the pain and heartbreak of the families who lost loved ones cut me so much deeper than it ever has before, because of my own incredible loss. Suddenly I could relate to the absolute anguish and grief in a whole new way, and it felt so heavy on my heart. Deciding to go through the Memorial Museum was actually a harder decision than either of us had been expecting, once again just because we were both feeling very affected and weren't sure how much more we could take. We decided to get the full experience while we had the opportunity, so we took the hour long guided tour through. It was so deeply intense and impacting, and I can't possibly go into enough detail about everything they have collected and preserved. 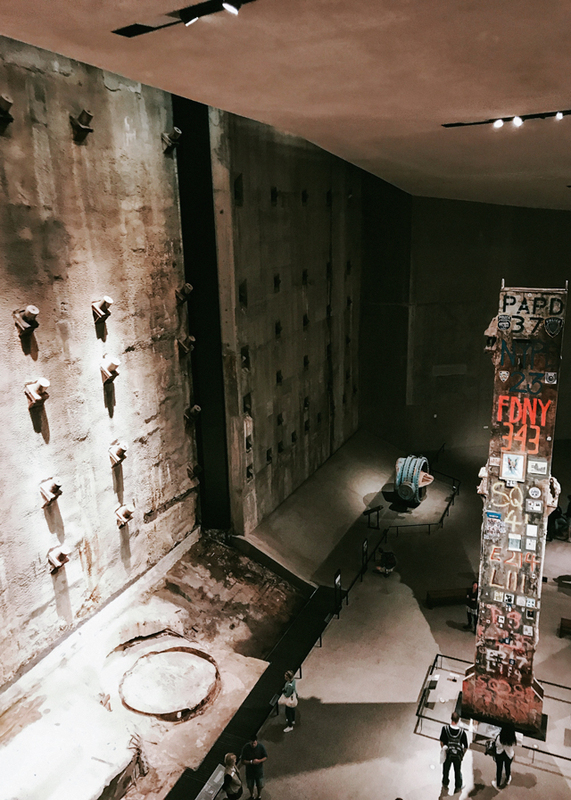 The majority of the museum is underground between the original twin towers, and tells the story of the event from the morning of September 11, 2001 through the perspective of those that were there. 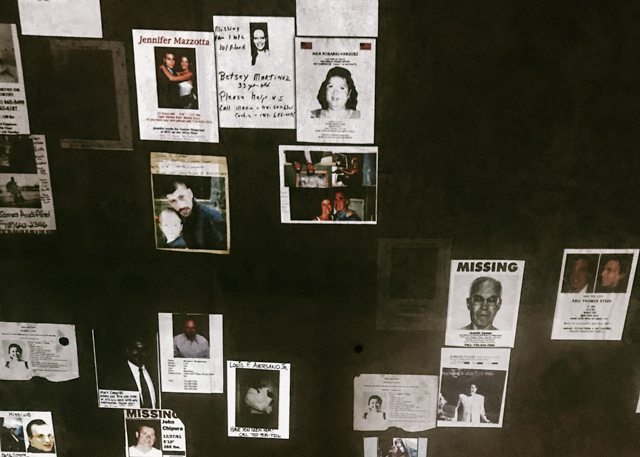 There are over 3,000 names and faces that are honored, and the use of video and audio tech used to share recounts and last words and messages of love is tragically beautiful. 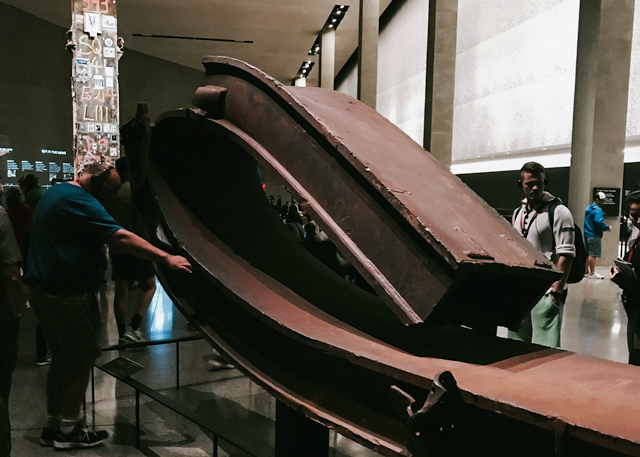 Some of the most incredible artifacts to me were a set of stairs that were used by escapees, a mangled fire truck, and the last column that stayed standing after the buildings collapsed. 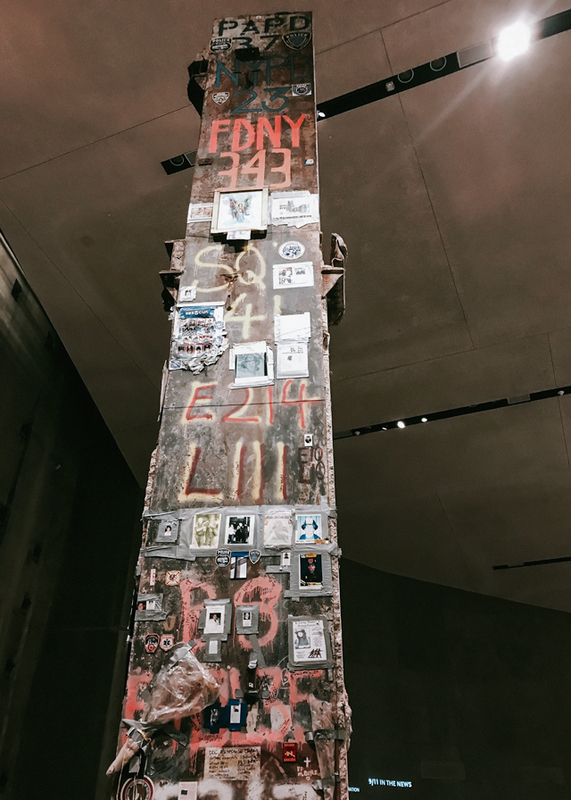 People helping in the aftermath of the destruction started attaching mementos and photos in tribute to loved ones, and it was made into a memorial symbolizing strength for so many. I'd love to hear your thoughts, and if you've had a chance to visit the memorial plaza yourself? I'm guessing he was a firefighter? Terence McShane went to my high school, which is why this picture stopped me in my tracks, and he was FDNY. This is incredibly touching and moving. I've never been to the memorial plaza but this makes me want to go and experience this. I can only imagine how sentimental it was to just take that all in. I get chills thinking about it. Thank you so much for sharing. I went to the memorial/museum a couple of years ago. I was glad they had tissue boxes placed throughout the inner exhibit because it was incredibly powerful. I was in college on 9/11. The fear is still vivid in my memory, as is the amazement at the heroism displayed that day and in the days that followed. The memorial is something I hope to visit one day, the world remembers each year where one was when it happened. 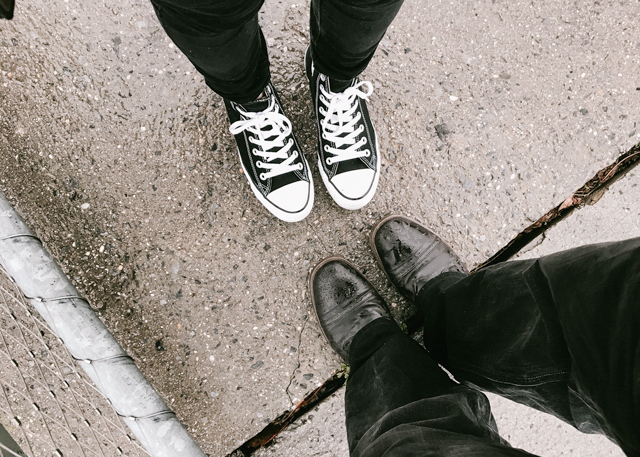 I was saying good bye to my best friend as I had just bought my one-way flight ticket to my new life when her brother called to urge us to watch the news. It's changed everything and it changes me, it's somehow a part of me. Wow, what a post! Fantastic pictures! 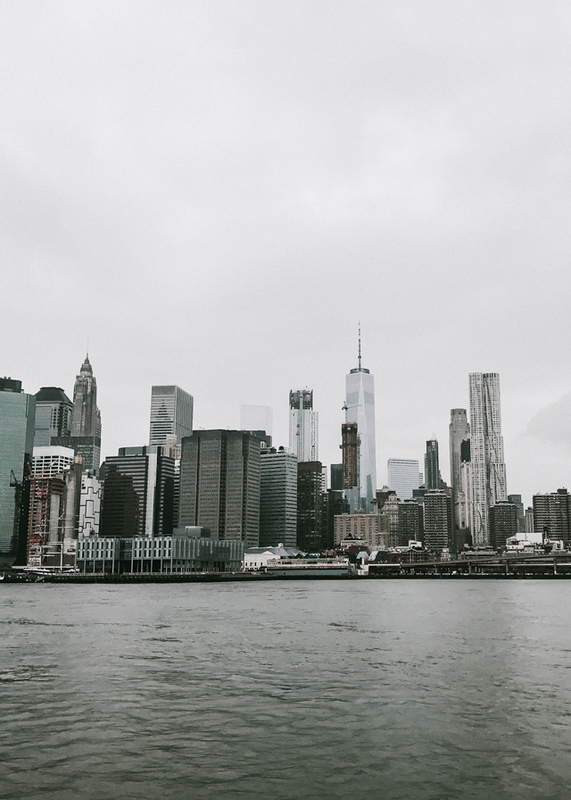 NYC has such a place in my heart, and having been to ground zero, I can fully appreciate the scale and effect it has had on a city! I was in the sixth grade when 9/11 happened and they stopped the middle of science class to let us know. We were only 30 miles north of New York City and the father of nearly every girl in my class worked in Manhattan. I knew my Dad's office was only four blocks from the Twin Towers but luckily he made it home to us that night - many others were not so fortunate and my church had a funeral every day until Christmas that year. Even 16 years later in hangs heavy. Thank you so much sharing your experience with the museum! I went through the memorial museum last summer with my dad, and again this past spring with my mom and sister. Both experiences where very profound but difficult. 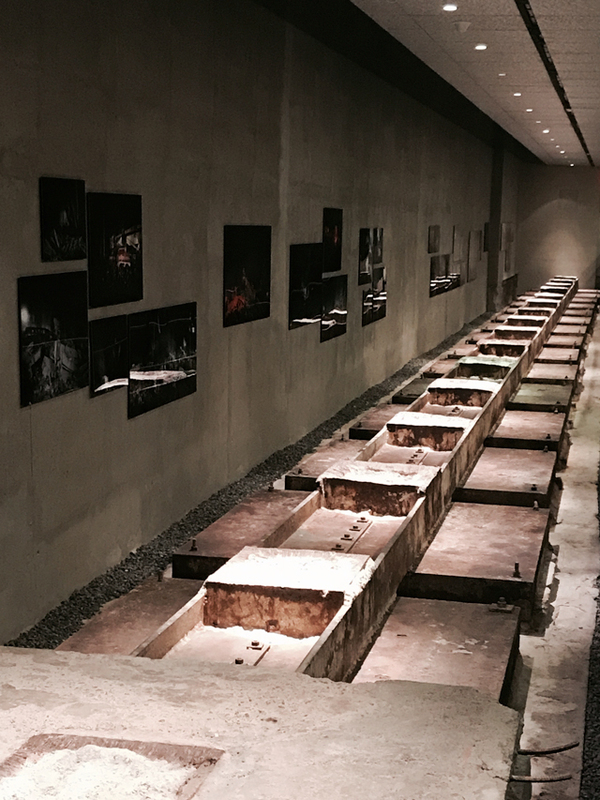 The museum is a beautiful tribute to those lost, and I'm so thankful I have had the opportunity to visit. I was only 9 years old when it happened, so it helped me process all I felt back then and fill in the parts that my younger mind couldn't comprehend. Well, now, that was an unexpected kick to the gut. Terence McShane graduated from my high school. My school lost a dozen people, between alumni and parents of current students. I visit him every time I go to the memorial, along with far too many others. It is incredibly how much time has passed since the attacks. I can't remember anything from that day...I was 4 years old! Still, visiting the memorial is incredible. PS You have a great way with words! I love your blog!